Amazon.com description: Product Description: Over the past two centuries or so, capitalism has undergone profound changes from which it has always emerged transformed and strengthened. 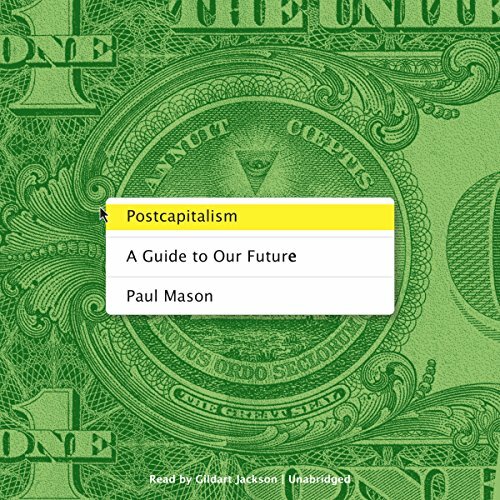 Surveying this turbulent history, Paul Mason's Postcapitalism argues that we are on the brink of a change so big that this time capitalism itself will mutate into something wholly new. In this bold and prophetic book, Mason shows how, from the ashes of the crisis, we have the chance to create a more socially just and sustainable economy. Although the dangers ahead are profound, he argues that there is cause for hope. This is the first time in human history in which we can predict and shape the future. About: Over the past two centuries or so, capitalism has undergone profound changes--economic cycles that veer from boom to bust--from which it has always emerged transformed and strengthened. About: Over the past two centuries or so, capitalism has undergone profound changes from which it has always emerged transformed and strengthened.